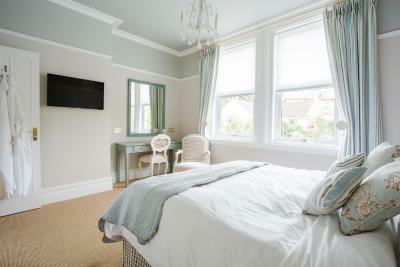 Lock in a great price for Grays Boutique B&B – rated 9.5 by recent guests! 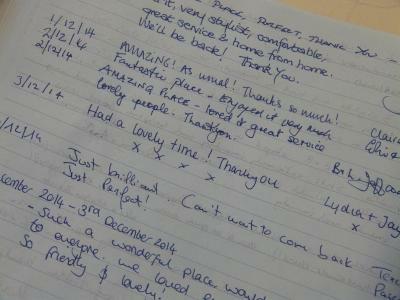 The Staff were warm and inviting, they were accommodating to our needs and accessibility requirements, it was a surprise trip and they were very helpful in making sure that my partner and I had a lovely stay, especially given that it was booked in short notice. I really couldn't have asked for more. IT WAS A WONDERFUL PLACE TO STAY. AMENITIES ARE MODERN AND STYLISH. THE BREAKFAST WAS EXCELLENT AND PERFECTLY DONE. Excellent position for City centre and surrounding countryside. Very quiet clean and comfortable. Staff were very welcoming and helpful. 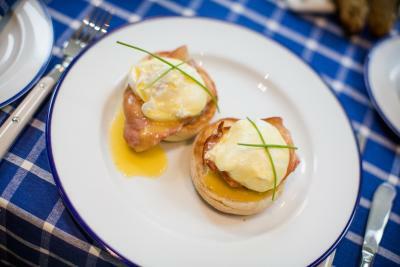 The breakfast was superb, very tasty and high quality. 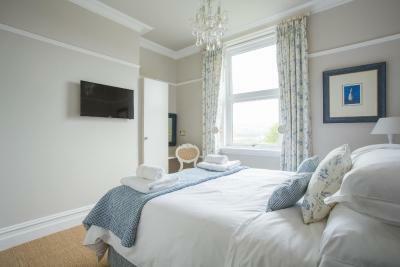 Excellent staff, lovely, spotless room with great views over Bath. 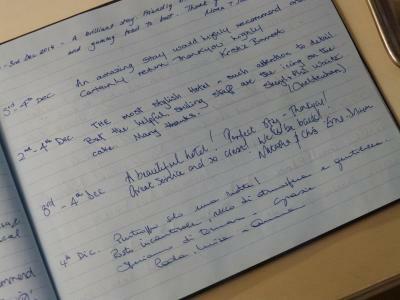 This B&B is probably the best that we have stayed in with great attention to detail from arrival through to departure. The American style breakfast was lovely. Mike welcomed us from the moment we stepped in. The experience was truely an unforgettable one! Properly was ultra clean, delicious breakfast and amazing hospitality. 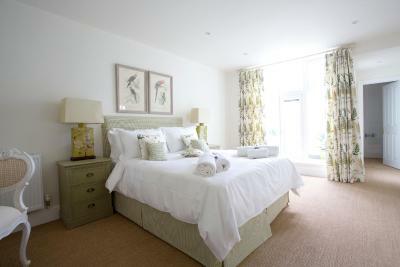 This is the new benchmark in B&B properties! Really well decorated quaint place. 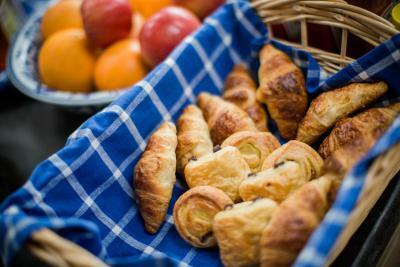 The breakfast was delicious too (yummy bread). Walking distance to the city too. Exterior gardens beautiful. Interior tastefully decorated. Very clean and well equipped. Staff was cordial, efficient, and very helpful when needed. 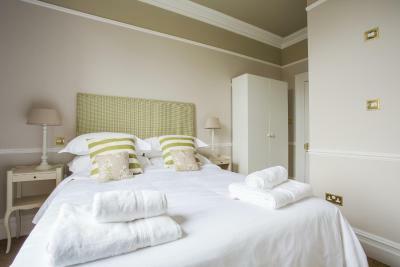 We have been visting Bath for many years and can honestly say this was the best b+b we have stayed in this price range. The b+b hasparking on site and is only a short walk into the city centre. The whole property is decorated beautifully, the room was spotless and very comfortable and the breakfast was plentiful with quality products. Despite all of the above the best thing about this place was Mike.He gave us a warm welcome, had all the answers to our questions and even gave us new resturant recommendations. We will be returning! 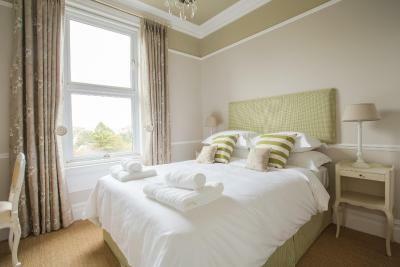 Grays Boutique B&B This rating is a reflection of how the property compares to the industry standard when it comes to price, facilities and services available. It's based on a self-evaluation by the property. Use this rating to help choose your stay! 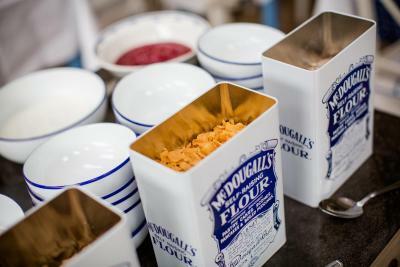 One of our best sellers in Bath! Overlooking the historic center of Bath, Grays Boutique is a family-run bed and breakfast set in a welcoming Victorian villa with a garden. 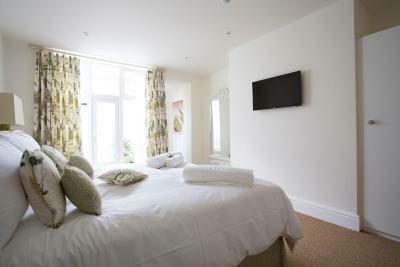 Only a 10-minute walk from Bath Train Station, it offers free Wi-Fi and free parking. 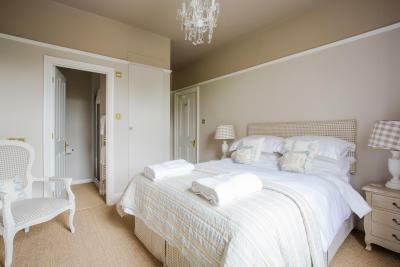 Grays Boutique Bed and Breakfast mixes original character and antique furniture with modern comforts. All rooms are elegantly decorated and offer a flat-screen TV with Freeview and a modern bathroom with power shower and luxury REN toiletries. 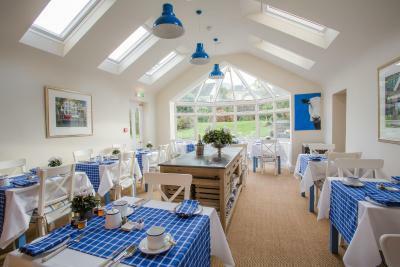 Breakfast is served in the light-filled breakfast room and includes a choice of continental and full English breakfast. 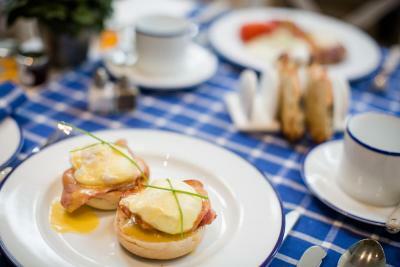 Guests can choose from Eggs Benedict, Eggs Royal, Eggs Florentine, all freshly cooked to order using locally sourced ingredients. 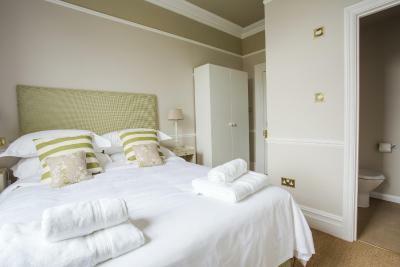 The B&B is set on the southern slopes of Bath, only a 15-minute stroll from the city center. It offers views across the city to the Royal Crescent and beyond. 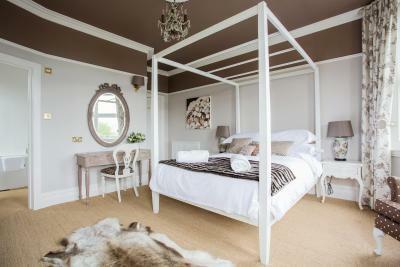 When would you like to stay at Grays Boutique B&B? 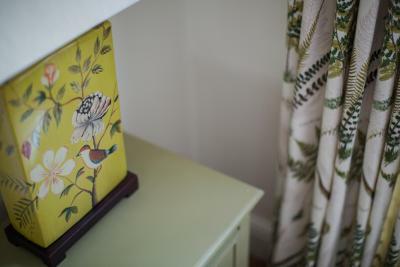 At the front of the house with lovely views over Bath, this room features an eclectic mix of painted antique-style French furniture and lighting, as well as a large flatscreen Freeview TV. 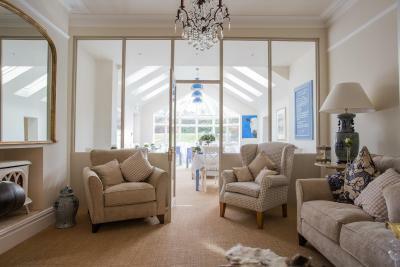 The beautiful, traditional cool French fabrics complement the furnishings perfectly. 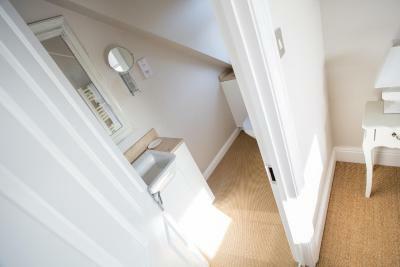 It has a modern style en-suite shower room with a high pressure shower, REN toiletries and fluffy towels. 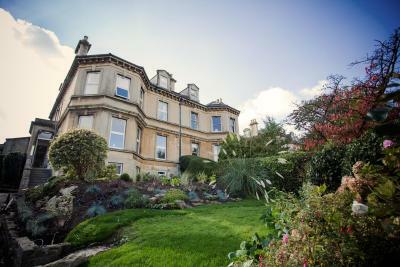 On the ground floor with high ceilings and views across the city to the Royal Crescent. It is tastefully decorated in soft creams and gray hues complemented by a carved French king-size bed, triple bay windows with comfortable armchairs and a modern en-suite with a large high pressure shower. 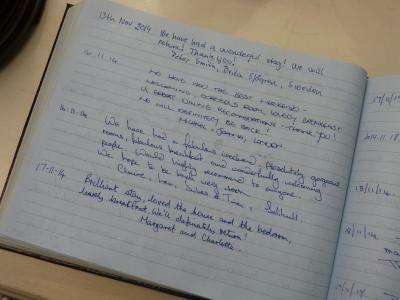 All complemented by luxury bed linens, towels, REN toiletries, a large flat-screen Freeview TV and a few other luxury extras. On the ground floor and has twin beds or if preferred, these can be set as a 6' Super King bed. Furnished in a mixture of painted furnishings, the colors are a mixture of warm reds and natural ticking and checks, utilizing a mix of coordinating French fabrics. 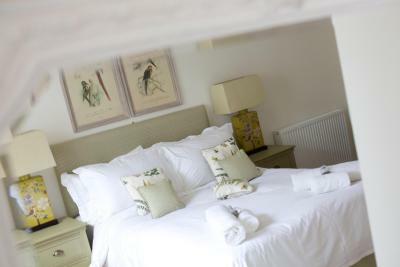 The room has a large flat-screen Freeview TV and a modern en-suite shower room with large shower cubicle, high pressure shower, heated towel rail and complemented by soft luxury towels, bath robes and REN toiletries. A ground floor room at the front of the house with views across the city. The room features high ceilings and an eclectic mix of antique-style French furniture and lighting. 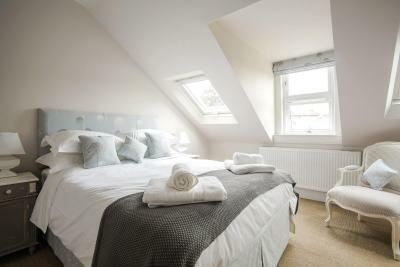 Also include a large flat-screen Freeview TV and a modern en-suite shower room with a high pressure shower, towel rail and white fluffy towels. On the 1st floor at the back of the house with double windows, lots of natural light and views over the garden. 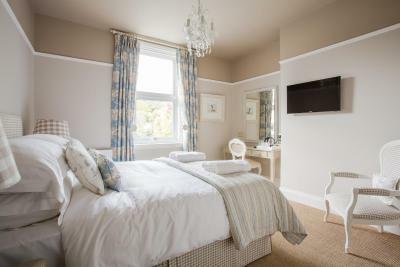 It has a king-sized bed, luxury linens, a large flat-screen Freeview TV and an en-suite shower room with a large shower cubicle, high pressure shower, heated towel rail and complemented by soft luxury towels and bath robes. This large, very quiet room is furnished with a Four Poster King-size bed and an eclectic mix of painted antique-style French furniture, as well as a large flat-screen Freeview TV. 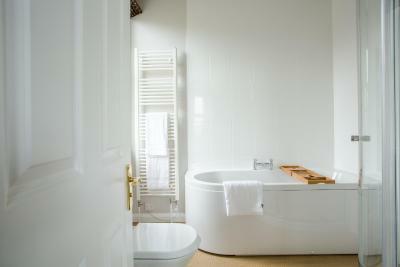 The large private bathroom has both a bath and a separate power shower, along with bathrobes and REN toiletries. 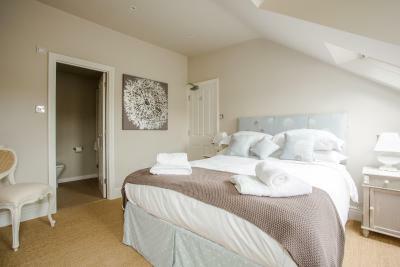 Located on the 1st floor at the back of the house overlooking the garden. 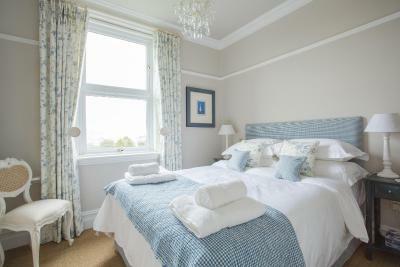 Decorated in cream and blue hues, it is furnished with a king bed, an eclectic mix of antique-style French furniture and a large flat-screen Freeview TV. 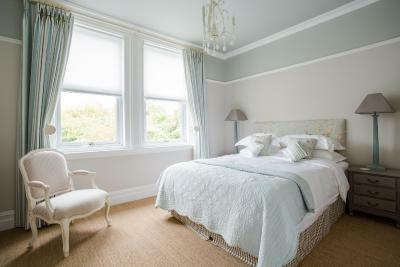 The relaxing room colors complement the furnishings perfectly. 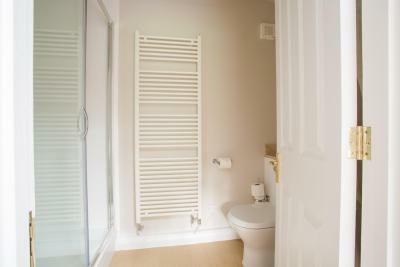 It has a modern style en-suite shower room with a high pressure shower, REN toiletries and white fluffy towels. 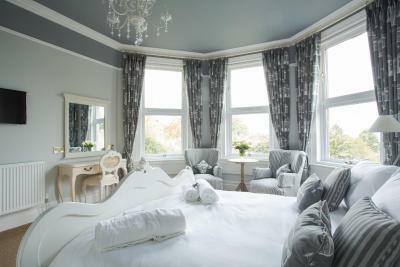 On the 1st floor, this is the most luxurious room with high ceilings and views across the city to the Royal Crescent. 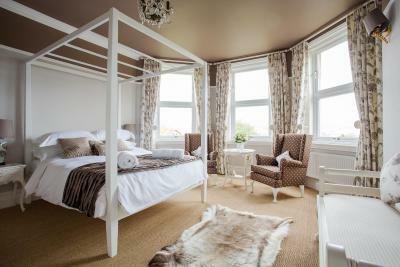 Decorated in dark brown and crisp whites, it has a white painted four poster bed, elegant furnishings, with comfortable armchairs set in the triple bay windows. 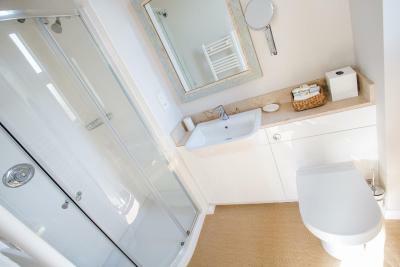 The modern private bathroom has both a bath and a separate, large high-pressure shower. 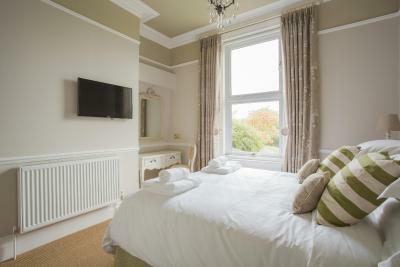 All complemented by luxury bed linens, fluffy towels, toiletries, large flat-screen Freeview TV, iPod docking station and a few other luxury extras. 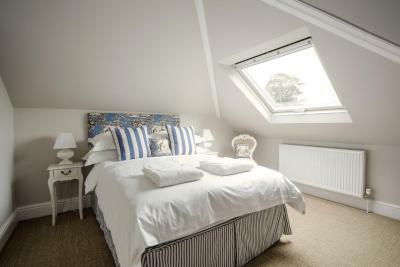 On the 2nd floor, this loft room is the smallest room with a double bed, blue and white painted furniture and Belgian fabrics and crisp white linens. 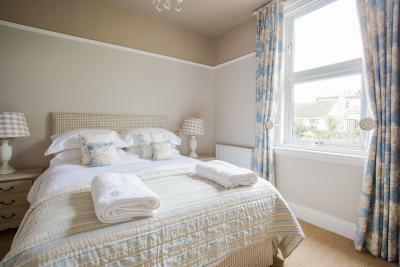 It has a small but well equipped en-suite with natural light, a good-sized shower cubicle with a high pressure shower, heated towel rail, REN toiletries and complemented with fluffy white towels. On the 2nd floor overlooking the garden. 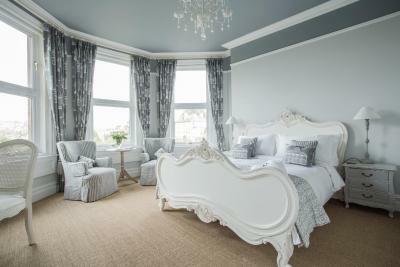 It is a very pretty room decorated in bluey grays and taupes with a king bed, painted furniture, Belgian fabrics and crisp white linens. It has a large flat-screen Freeview TV and a well equipped en-suite with a spacious shower cubicle with a high pressure shower, heated towel rail, REN toiletries and fluffy white towels. 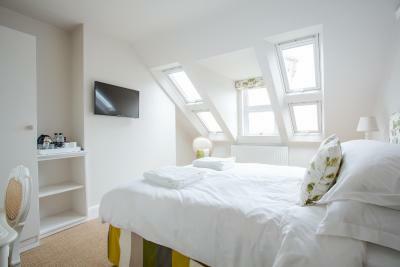 A 2nd floor loft room offering views across Bath. The room features an eclectic mix of painted antique-style French furniture and lighting, as well as a large flatscreen Freeview TV. 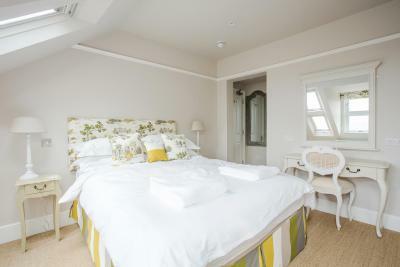 It has a modern style en-suite shower room with masses of light streaming in from a skylight, a high pressure shower and white fluffy towels, robes and REN toiletries. 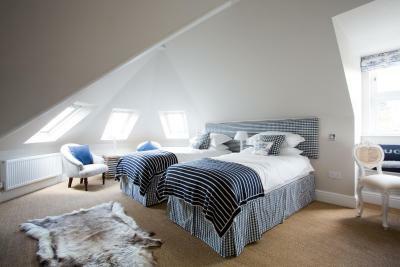 This is a quirky twin room and is one of our loft rooms on the 2nd floor. Furnished in a mixture of shabby chic furnishings, the colors are a mixture of inky blues contrasted with crisp whites, utilizing a mix of coordinating French ticking and checks. 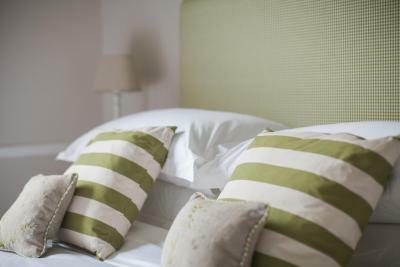 The room has a large flat-screen Freeview TV and a modern en-suite shower room with large shower cubicle, high pressure shower, heated towel rail and complemented by soft luxury towels, REN toiletries and bath robes. 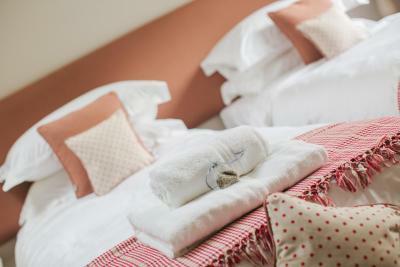 House Rules Grays Boutique B&B takes special requests – add in the next step! Grays Boutique B&amp;B accepts these cards and reserves the right to temporarily hold an amount prior to arrival. Grays Boutique B&B accepts these cards and reserves the right to temporarily hold an amount prior to arrival. Guests are required to provide a contact number when making the reservation. Please note that only children aged 12 years and older can be accommodated at the guest house. Please note the maximum occupancy of each room is 2 people, and this includes children. If you expect to arrive outside the check-in times, please notify the property. They can provide details of the key safe. Lovely B and B. Molly is a fantastic hostess. Bathroom wasn’t the biggest but still comfortable enough. 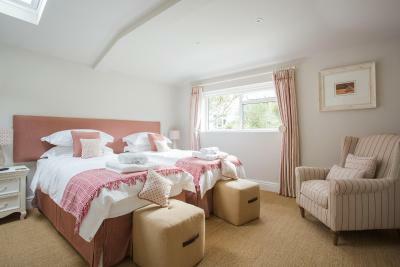 A big WOW for the room - very tastefully and luxuriously furnished and equipped. First good night's sleep for the trip - extremely quiet room and comfortable bed. Perfect place to stay in perfect Bath. Got upgraded. Had a choice of 2 more rooms. Lovely clean hotel. Loved the Attention to detail. Staff very friendly and couldn't do enough for you. Excellent hotel lovely and clean and very luxurious fixtures and fittings and made to feel very welcome from the minute we arrived. I was celebrating my 60th Birthday and the morning staff all wished me happy birthday and made a full the next morning to see if O had enjoyed my birthday day lovely. Comfiest and cleanest bed I've slept in for a long time - the sheets were so crisp and smelt wonderful. When I realised I needed to leave before normal breakfast hours, I was very impressed when James offered to serve me earlier. Outstanding customer service. Also, the rooms are pretty well soundproofed with none of the usual corridor noises/creaking etc, so I had a great night's sleep. Amazing views of Bath if you're on the right side of the house.